As the cryptocurrency markets have cooled down somewhat in the recent months, a simple buy-and-hold strategy does not create the desired profits anymore. In this short article, I will highlight some basic bitcoin trading strategies that can work. Momentum and trend following strategies are the most common and most intuitive trading strategies for bitcoin. The basic idea is to buy (go long) when the price is rising and to sell (go short) when the price is going down. In these strategies, it is highly important to enter and exit the cryptocurrency position at the right time. If you enter the trend at the end of the rise or fall, you will lose money. 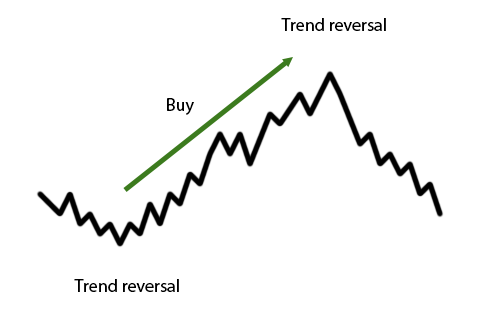 The earlier you can spot a trend or trend reversal, the better you will be off. With these strategies you buy when other people are buying and you sell when other people are selling. The trick is to do it before the majority. Momentum and trend strategies only depend on historical prices of the asset (most likely bitcoin) you want to trade. Possible implementations of these types of strategies are simple technical indicators, indicator crosses, such as a moving average cross, as well as lagged return strategies where past price return forecast future price returns. Many versions are possible, often also relying on order flow and prices weighted by trading volume. Mean reversion and scalping strategies are the opposite to momentum or trend following strategies. Instead of taking the same position as the other market participants, the mean reversion investor believes that most price movements are mere fluctuations. The ups-and-downs of the prices are caused by random inequalities of supply and demand and will eventually revert to the mean. To profit from the mean reversion property, you simply buy when the price of bitcoin (or any other financial instrument) is below the historical mean (use for example a SMA – simple moving average). You sell if the price is above the historical mean. 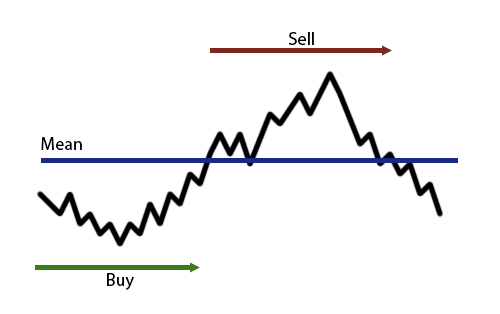 In both cases you exit your position (close your trade) as soon as the price crosses the mean again. News and sentiment strategies don’t rely on the price of the asset alone. They try to spot news and sentiment of the market faster than the other market participants. A fork in the bitcoin repository will lead to a change of the price. If you can identify this event before anybody else, you can make large returns. 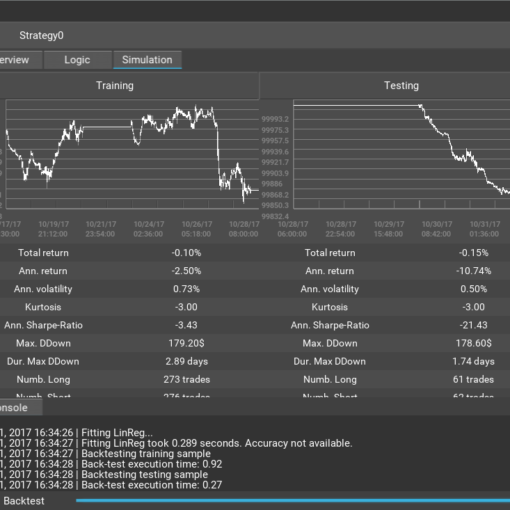 Professional trading funds use advanced machine learning methods to spot these news automatically and place trades accordingly. In sentiment analysis, non-traditional news sources such as Twitter are monitored and algorithms try to estimate the market sentiment about an asset. If bitcoin is mentioned in many tweets that are positive (e.g. they contain a smiley or a positive word such as “great”), it is taken as a signal that the price will raise. 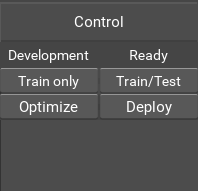 This is difficult in practice, as natural language is hard to understand for computers. Actually, there is a whole scientific field called natural language processing that tries to make computers understand human language. In the early days of bitcoin exchanges, this was a big strategy. Arbitrage in an economical sense, means making a trading profit without risk. This can be done if two or more bitcoin exchanges offer different prices. For example: At Bitfinex you can buy a bitcoin for 9,000$ while at Bitstamp you can sell it at 11,000$. In theory, it is easy to see how one can create an easy profit. 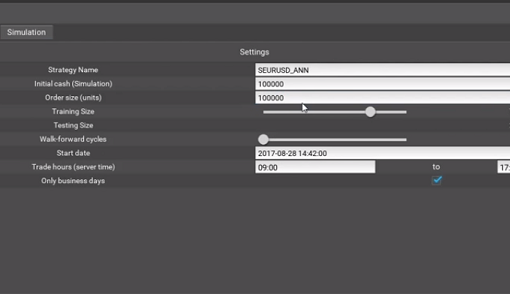 Just buy at Bitfinex, send the coins to Bitsamp and sell them there. In practice, bitcoin and cash transfer fees can make it a harder bet. Sending the bitcoins from Bitfinex to Bitstamp and sending the cash from Bitstamp to Bitfinex can prove to be very costly. Statistical arbitrage strategies are the most advanced of the strategy types discussed in this article. The core property of such strategies is the mean reversion of certain statistical properties of combinations of assets. 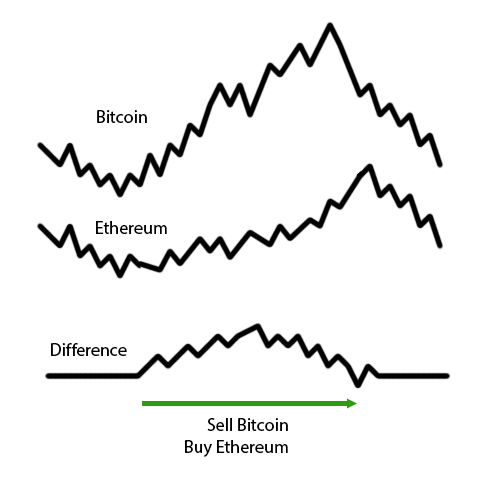 For example you can see that the Ethereum and Bitcoin price move in similar directions. When the Bitcoin raises, so will Ethereum. If Bitcoin raises while Ethereum doesn’t, a statistical arbitrage strategy might predict that Ethereum should raise in the future as well. Or Bitcoin will fall again. With this strategy, you sell the overvalued asset and buy the undervalued asset. This strategy is self-financing, as you do not need a positive capital amount (the money you get from selling Bitcoin, is invested into Ethereum). Additionally, such a strategy is considered market neutral, as a positive or negative trend in both assets, does not influence the strategies performance. 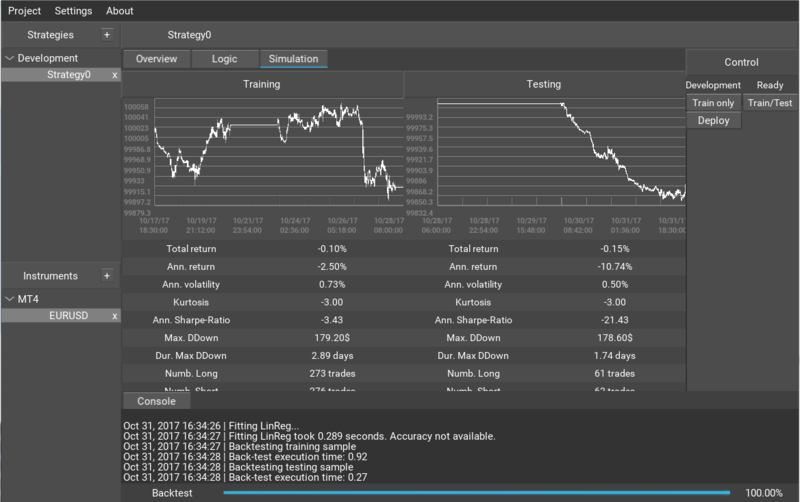 Momentum and mean reversion strategies can be implemented into Algominr as is. The other types of strategies will be supported in the future. I love what you already have delivered and I’m looking forward to what will come next.